Welcome to the web site of the Connecticut Association of Home Inspectors. Incorporated, known as “CAHI”. This organization of home inspectors from Connecticut and adjoining states was formed in 1991 with the sole purpose of providing continuous education and group discussion of common concerns amongst its members. The organization has grown from it’s humble beginnings to become the largest home inspection organization in Connecticut. 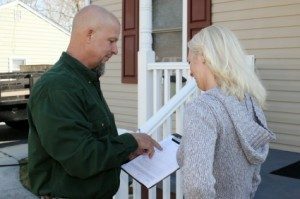 Our enduring goal is to provide the home inspection industry in Connecticut with a continuous education program that will enhance the knowledge of its members to better serve the community. In order to reach these goals we provide our membership with special seminars and monthly workshops dedicated to subject matter which will enlighten and give better insight into the related components of both the modern as well as the historic homes and buildings in our communities. Our seminars and workshops meet and exceed the minimum educational requirements of the Connecticut Home Inspection Licensing Board. We welcome all home inspectors or those persons wishing to become home inspectors, to attend our monthly meetings and become a part of our family.